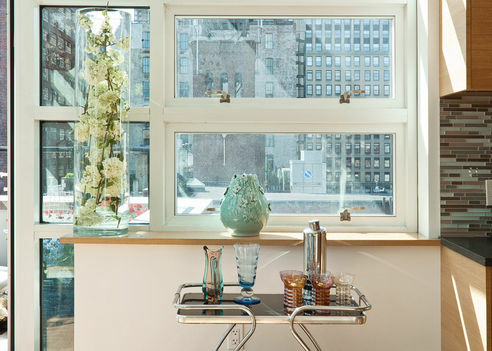 Mix and Chic: Home tour- A stunning New York penthouse! 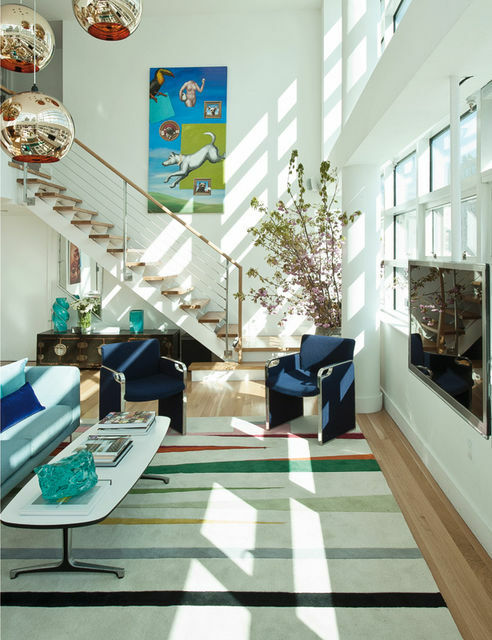 With a mix of current and vintage pieces with touches of bright colors and utilizing the amazing views of the New York skyline using floor to ceiling windows, this home oozes style and perfection in every way. The views, the gold pendant lights, the modern rug and windows are among my favorite things about this home. What are yours? 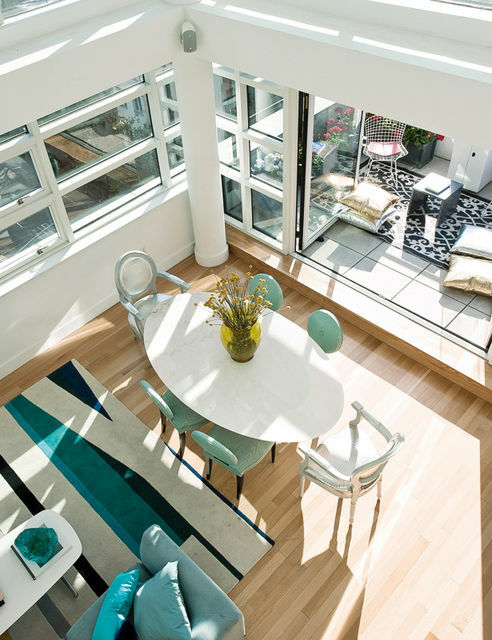 Have you seen the HGTV shows about this penthouse? 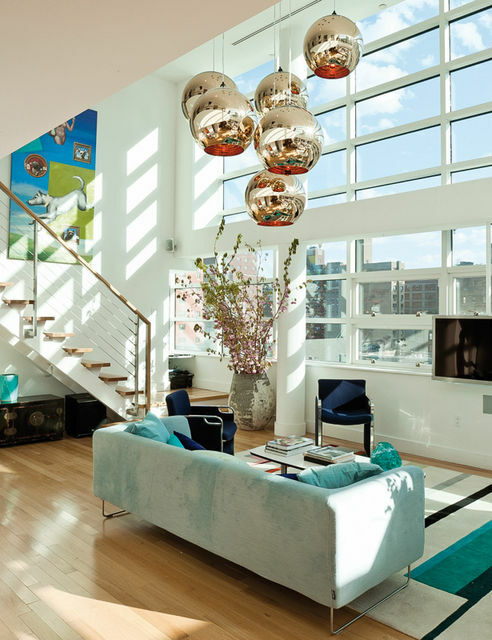 The Novogratz's did the living room, and David Bromsted did their master bedroom - how lucky are those owners to get the designer treatment TWICE?!? And agreed, it's amazing - the windows alone are killer! 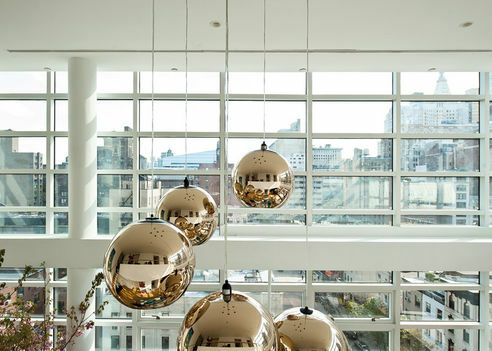 I am crazy for those gold pendant lights! 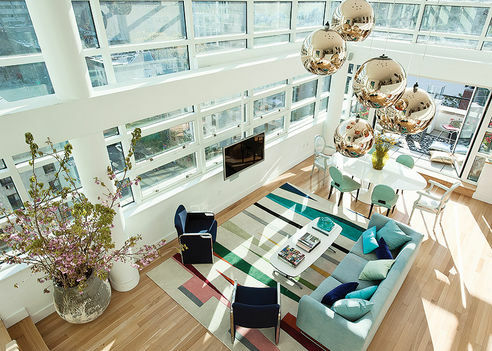 What a beautifully decorated penthouse. It's a lovely place - but the thing which caught my eye is that fabulous glazed blue pot on the balcony, with a blue hydrangea in full flower. Just gorgeous. Those lights are stunning! I love the colors that were used; this room is so alive. Love! I remember the episode where the Novogratzs did this room. I love the "family" rug. So stunning. The views are beautiful. And I love the dining table chairs. I love the light and views from the space. 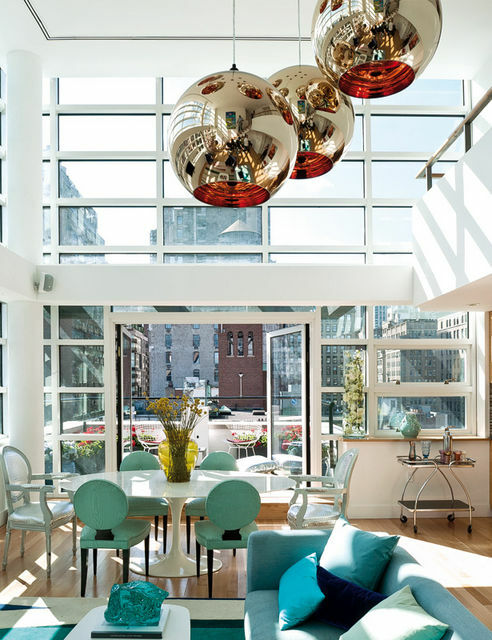 This is beautiful and love those pendants, but I think I might feel like I lived in a fishbowl. WOW - amazing space. I adore the cluster of lamps - stunning. 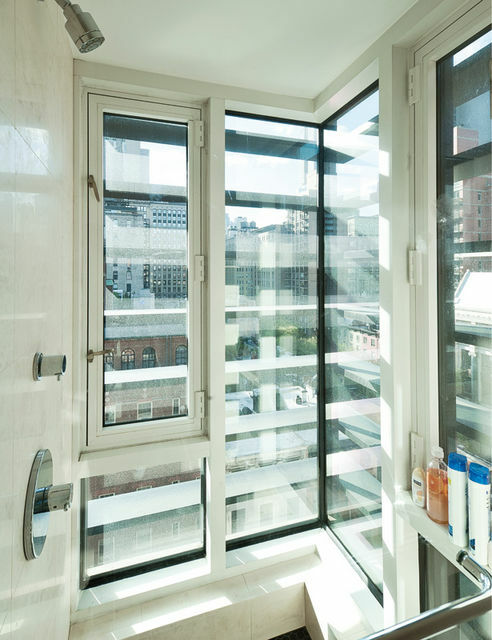 I love the shower but I hope the glass turns frosted! How wonderful! Even just the first pic got me drooling already. And those lamps are amazing. 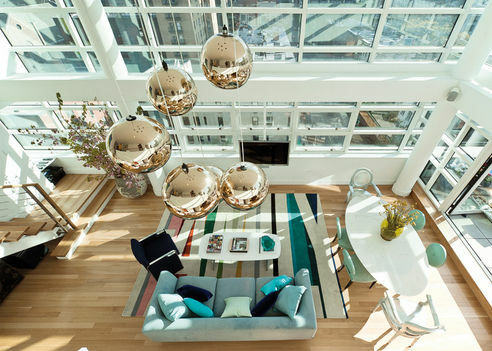 the light in this loft is to die for and I SO wish I had a balcony like that!! It is breathtaking! That view is to die for. 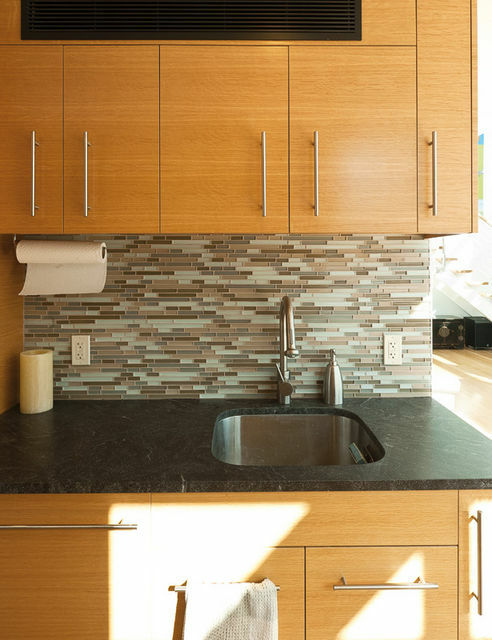 Do you watch "Selling New York" on hgtv? 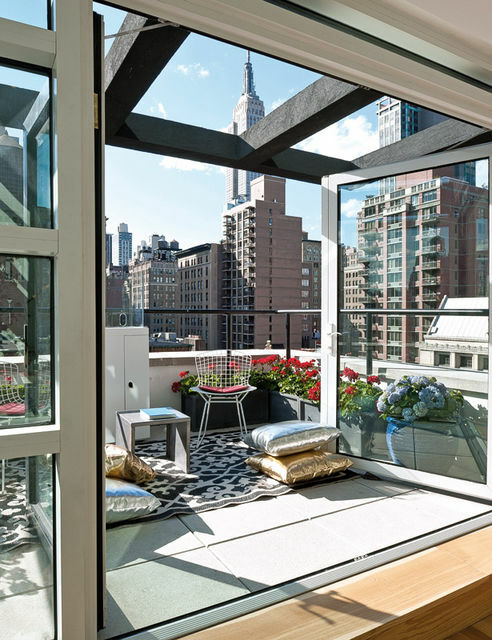 They show tons of places like this and I always just want to pack up and move to a penthouse in the city. I think I'd live my whole life just looking out the window. It is amazing! So bright and modern! And I love the patio as well! 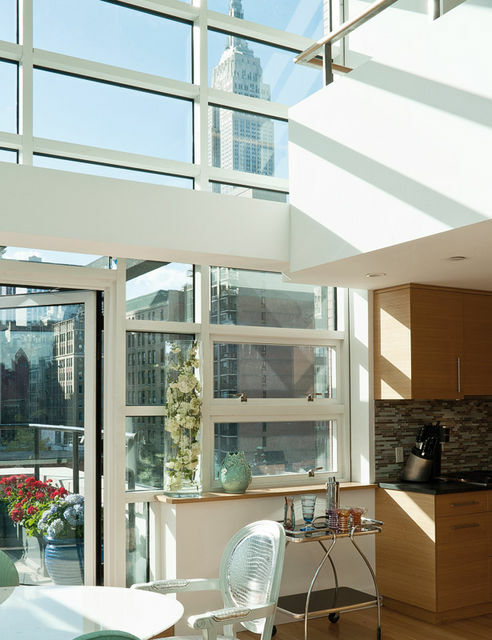 This penthouse is amazing, i love the light coming in. It must look beautiful at night. I have seen the show where the Novogratzs designed the main living area and outdoor patio/balcony. Unique artwork and magnificent light fixture.